Aurora News: The Republic strikes back! Defeat only strengthens the resolve to rise up! 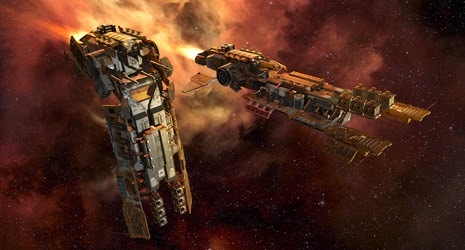 What worsens the situation is the technological advantage the Amarr hold over not only the Minmatar but also the rest of New Eden by way of their technological breakthrough that resulted in the tech 3 destroyer, the Confessor. But the Matari are known for their resilience and to be on their best when the times are darkest... Determined to break the Amarr supremacy in the contested areas, Matar scientists set out to improve existing weapons & develop new technologies that can offer the Minmatar Republic the punch it needs to lash back against the Amarr war machine. And recently, the Minmatar Republic announced their success! Not only did they improve existing weapons, but they also developed their variant of the tech 3 destroyer! The Svipul, the Republic answer! While the Amarr used the new transformation technology sparingly, resulting in subtle changes for the various modes, the Matari decided to go all out! 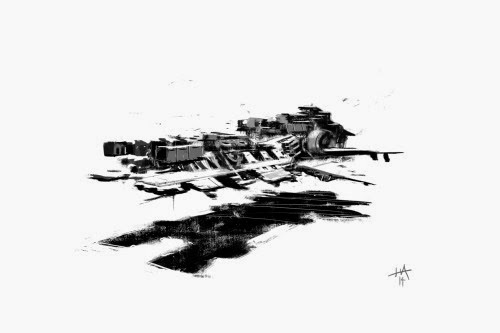 The Svipul pushes the new transformation technology to the limit, each mode is a different ship entirely! The traditional horizontal ship mode focuses on speed & maneuverability while its more vertical forms are centered on combat, either defensive or offensive. But the Matari also took back one of their old dogma's: versatility. 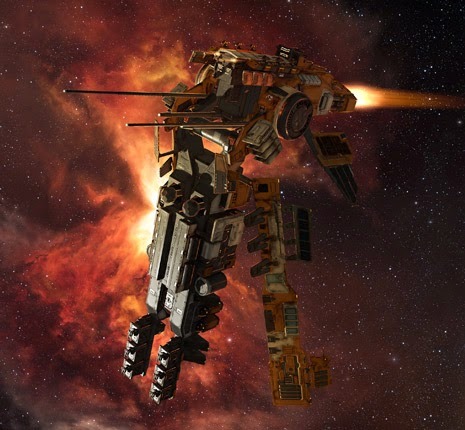 While the ability to fit 6 gun-turrets makes it a formidable foe in offensive mode, its slot layout for modules reflects this flexibility-doctrine, as they allow 4 modules in both high grade as low grade slots. But what is it capable of? Looking at the bonuses it grants to the trained pilot, many things! As the ship comes with specially adapted electronics to hunt down targets, it requires 95% less CPU to equip a Scan probe launcher. 5% less heat damage to overheated modules. Behold my true form! Assault mode deployed! All in all, a very impressive ship that'll surely turn some heads. With the Matari dedication to go all out on the newly uncovered transformation technology, they fully intent to bring the offense to the Amarr Empire and drive them out the conflict regions. But this ship is not all! 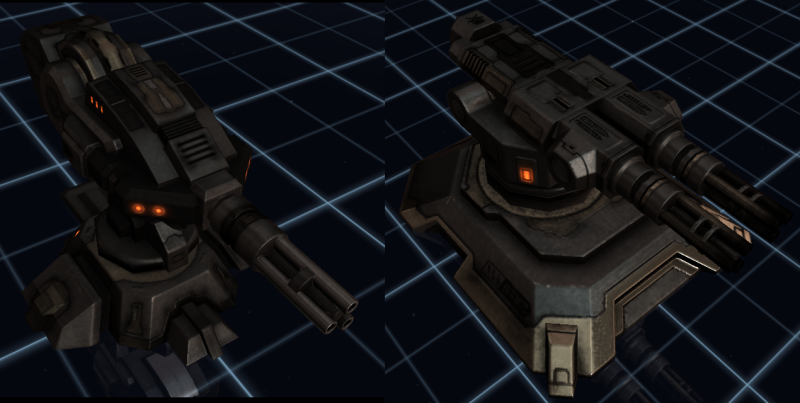 Improvements also have been made on various autocannon & artillery turret designs! We'll hit harder! We'll hit farther! Matari weapon scientists managed to come up with a new design for small artillery turrets, allowing them to hit harder! Sadly this does come with the drawback they rotate slower, making it harder to hit fast, mobile ships. The trade-off is surely worth it tho, the new artillery does 10% more damage, while its tracking receives a 3% hit. Sadly, this new technology isn't applicable on larger artillery turrets, as it would make them to slow & clumsy to turn. More interesting are new developments made on autocannon turret systems. Adaptations of the firing mechanism allows projectile shells to increase their effective range, aka boosted falloff range. This also comes with a drawback as well, the very popular Barrage Ammo doesn't work as well with the new firing mechanism and thereby sees barely any change in it's effective range. This new firing mechanism solution can be used on all known autocannons however, from small to capital sized turrets! It's hoped that through this, Matari weapons offer an increased flexibility in ammo choice & that barrage is no longer the default go-to for shells. In short, Autocannons now have an increased falloff range of 7,5%, but Barrage ammo suffers a reduction from 50% to 40% increased range in it's usage. The end result is that all ammo usable in autocannons can be fired at greater ranges, except for barrage ammo which range should remain roughly the same with this new firing mechanism. With these upcoming changes, the Republic hopes to drive out the Amarr invader from their contested territories & reclaim their systems. The tools have been given, now it's up to the Militia to use them! The Republic Strikes Back: The Svipul Tactical Destroyer & upcoming projectile changes!